A famed inventor, politician, author, scientist, and diplomat, Benjamin Franklin was a true renaissance man. Boasting a huge range of talents and a fantastic work ethic, Benjamin Franklin’s achievements place him amongst the true greats in history. Known as the ‘First American,’ Benjamin Franklin will always be best known for his role in founding one of the world’s most successful countries. As one of the founding fathers of the United States, Benjamin Franklin’s involvement in America’s historical politics has made him a household name in hundreds of countries. However, Mr. Franklin’s success wasn’t assured. 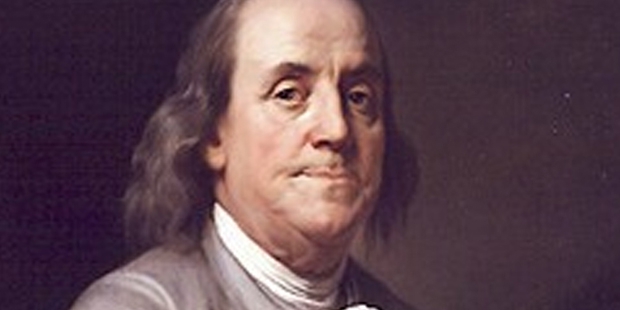 Born in a relatively humble setting, the young Benjamin Franklin grew up in Boston, Massachusetts. Born in 1706 in the at-the-time leading city of Boston, Benjamin Franklin attended school for two years due to his father’s low income and lack of resources. It was through Benjamin’s love of reading that he found the power of education. A voracious reader, the young Benjamin Franklin would read hundreds of books per years, taking down notes and living as much in the pages of his favorite novels and non-fiction books as he did in everyday life. The Junto was a group of artisans and tradesmen focused on self-improvement and community betterment. The project was a dramatic success, building a library in the city. Franklin’s interest in literature and record keeping resulted in him entering the field of science, studying the effects of population growth in the United States. After founding the nation’s first volunteer firefighting company, founding the then revolutionary American Philosophical Society, and retiring from the printing world, Franklin entered life as a public figure focused on political progress. He traveled to Europe, to Germany in particular, to force new links based around electricity. Upon returning to the United States, Benjamin Franklin found himself in a country that was in the midst of revolution. With wars against both the native Indians and the British colonial forces underway, the Pennsylvania Assembly picked Franklin, along with four others, as a member of the well-known Committee of Five. The Committee of Five drafted the Declaration of Independence, one of the United States’ most important documents. Franklin collaborated with Thomas Jefferson to complete the document despite being ill at the time. After signing the Declaration of Independence, Franklin created the United States Post Office and other services.With his gout worsening due to obesity and ill health, Franklin developed a series of health problems during the later years of the 18th century. During the signing of the United States Constitution in 1787, for example, Franklin was visibly unwell, staying in his private quarters for the majority of his political life at the time. Just three years after signing the United States Constitution in 1787, Franklin died in his home in Philadelphia. A well-known and respected leader and influential figure, he was honored by over 20,000 people at his funeral. He continues to remain one of the most vital figures in Western history to this day, even amongst non-Americans. From his humble beginnings to his massive success as one of the Founding Fathers of the United States, Benjamin Franklin’s optimistic approach to life and great skills in innovating and spotting new opportunities made him a true success. An essential figure in world history, Franklin’s influence on the modern world is hard to deny.